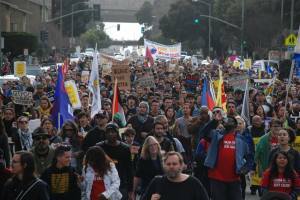 On January 18th, 2016, at Oscar Grant Plaza, more than 2,500 people attended the opening rally to reclaim MLK’s radical legacy to stand against capitalism, imperialism, racism, and policing. 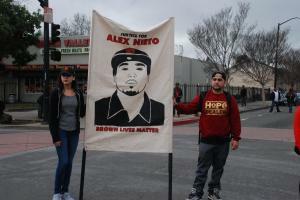 The march started at Oscar Grant Plaza and ended at the Emeryville Shopping Center, where Yuvette Henderson was murdered last year by EPD. 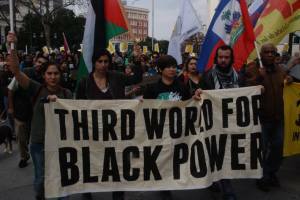 AROC: Arab Resource & Organizing Center joins forces with Third World Resistance to support Black power and resistance and to stand against the war on Black people everywhere in honor of Martin Luther King’s legacy. 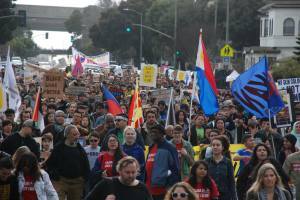 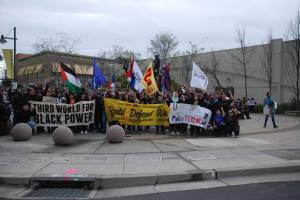 We echo the demands for dignity, liberation and self-determination from Oakland, to Haiti, to the Philippines, to our homelands, and all those fighting imperialism and state violence.